Tap on the orange Posts icon on the menu bar. 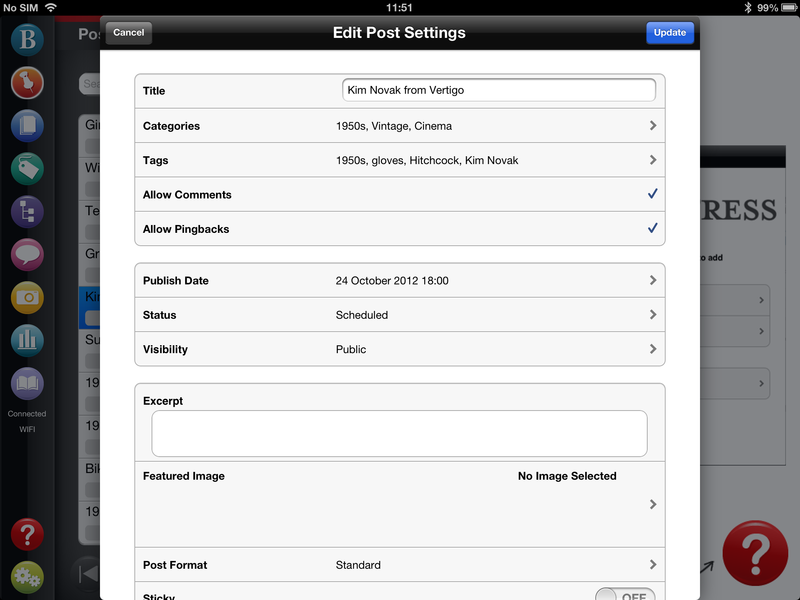 Then tap on the post you want to edit and you will see the Post Options menu (below). 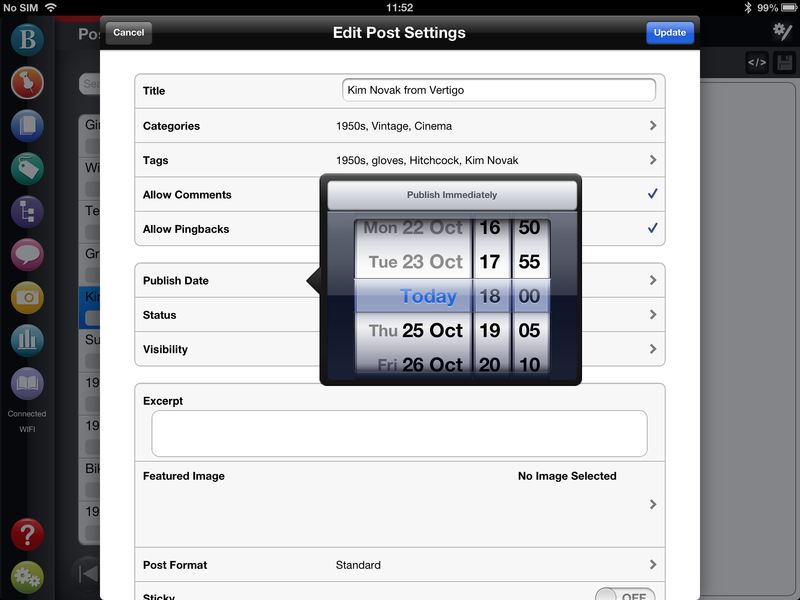 This option allows you to edit your post properties. These include the title, categories, tags, status, visibility, publish date and whether the post allows comments and pingbacks. Once you have changed this information you can either Update to save your changes or Cancel to close without saving. 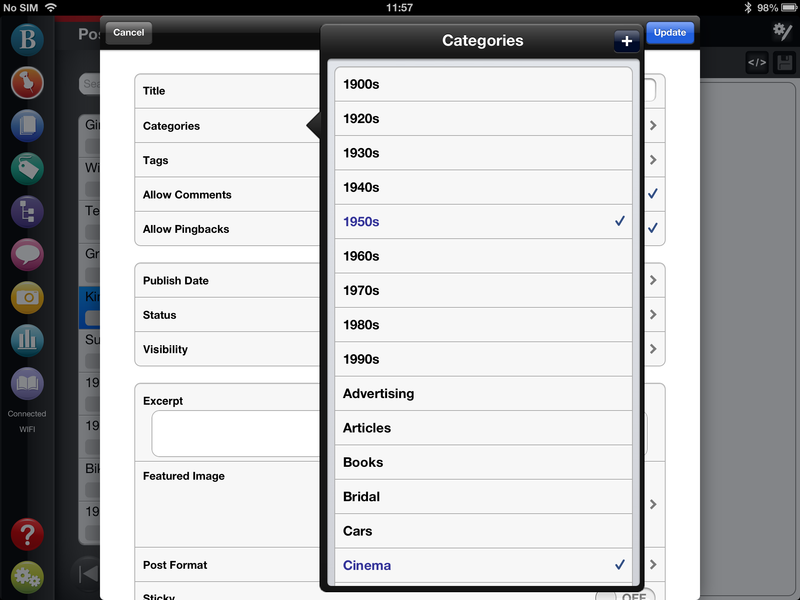 To edit categories tap on Categories to see your menu. This displays a list of categories on your blog. 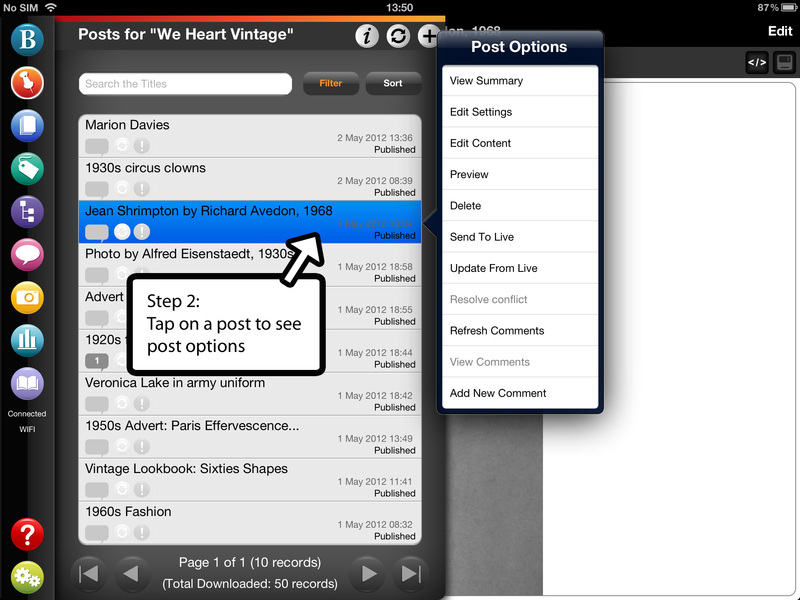 Tap each category you want to attach to the post or click the + button to add a new category. 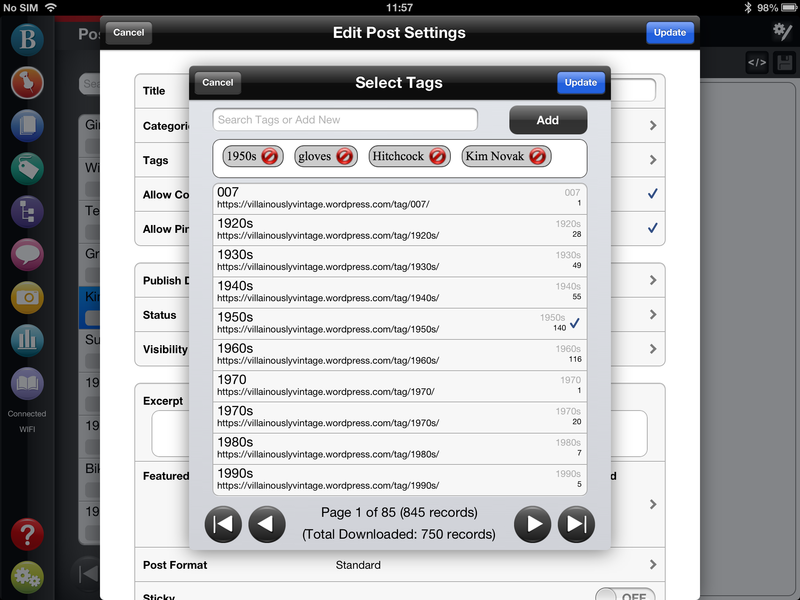 To add tags to your post you can either tap to select them from the list of tags or start typing in the box at the top. If the tag already exists just tap in the list to select, or select ‘Add’ to add a new tag. 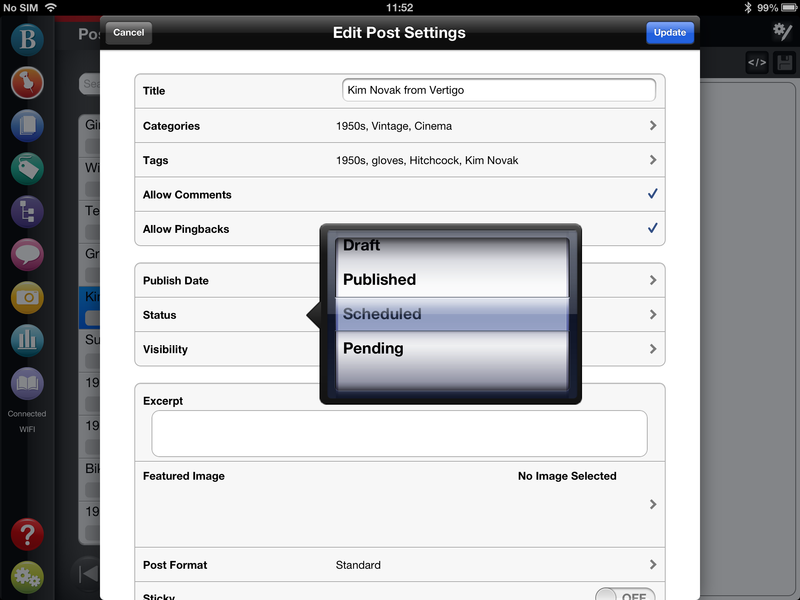 The status options you have are: Draft, Published, Scheduled or Pending. Your post visibility options are: Public, Password Protected and Private. The default setting for this is public. 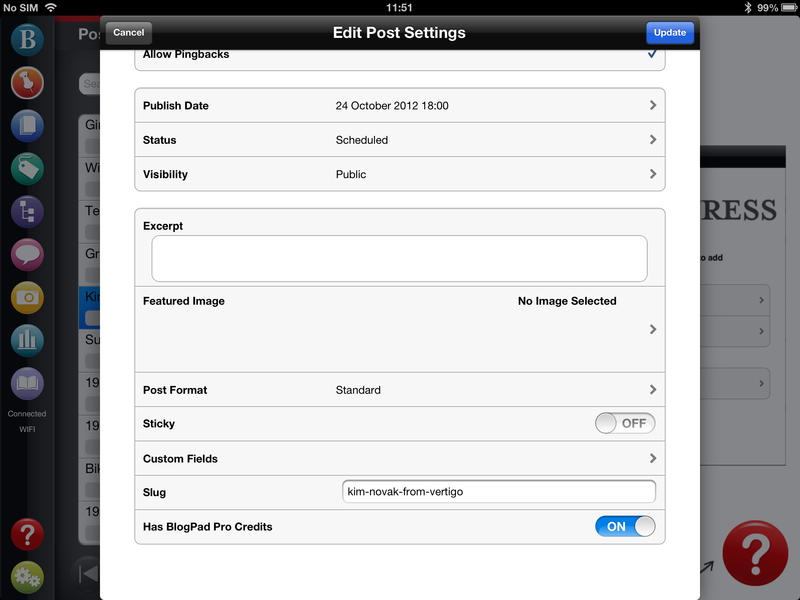 Other post settings include excerpt, featured image, post format, sticky, custom fields, slug and whether you show BlogPad Pro credits. This entry was posted in Tutorials and tagged app, blog, blogging, categories, comments, iPad, iPad app, keywords, pingbacks, post, publish date, settings, status, tags, visibility, wordpress.